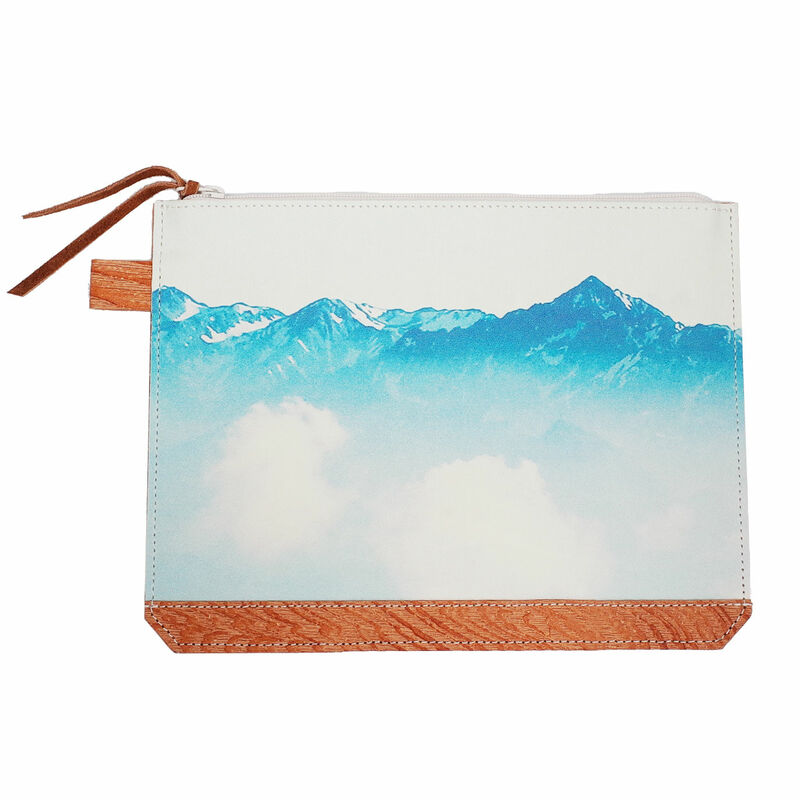 This series is designed by a designer who loves mountain climbing and inspired by the refreshing air of the mountain. 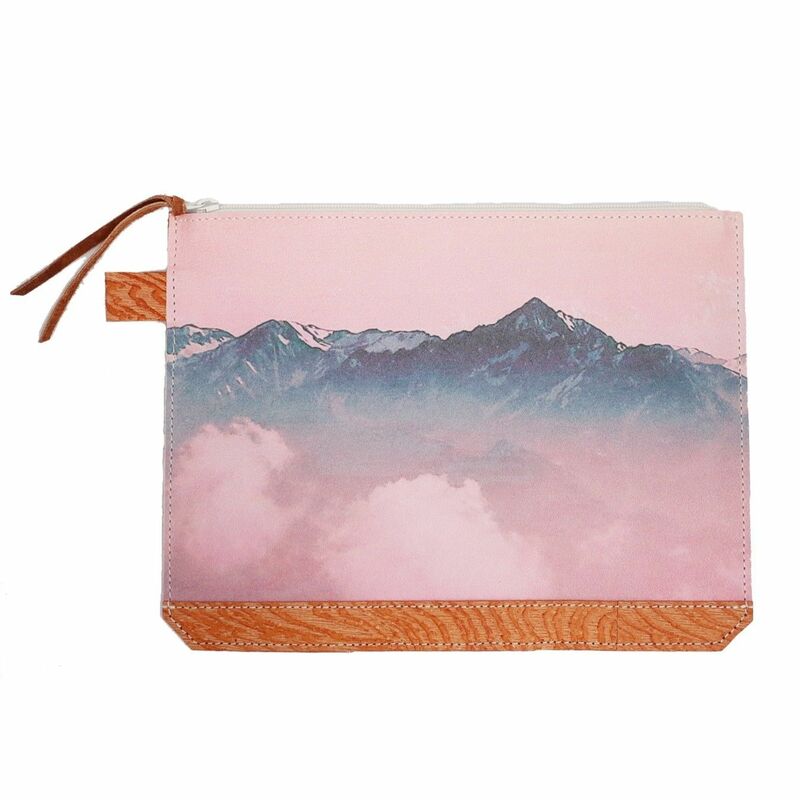 The printed mountain is "Tsurugidake" in Japan.The combination of cowhide with mountain print and woody-look pigskin reminds you of a view from a lodge. 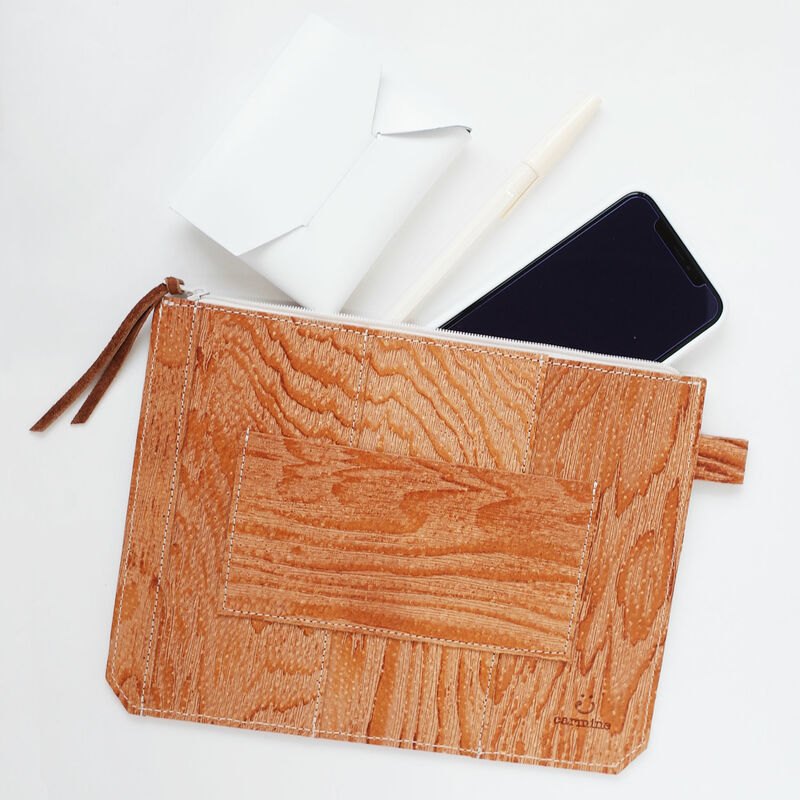 A picture is printed on cowhide.The surface is coated to prevent it from getting dirty.